Jade rollers are now affordable to buy – but is yours made of real jade? 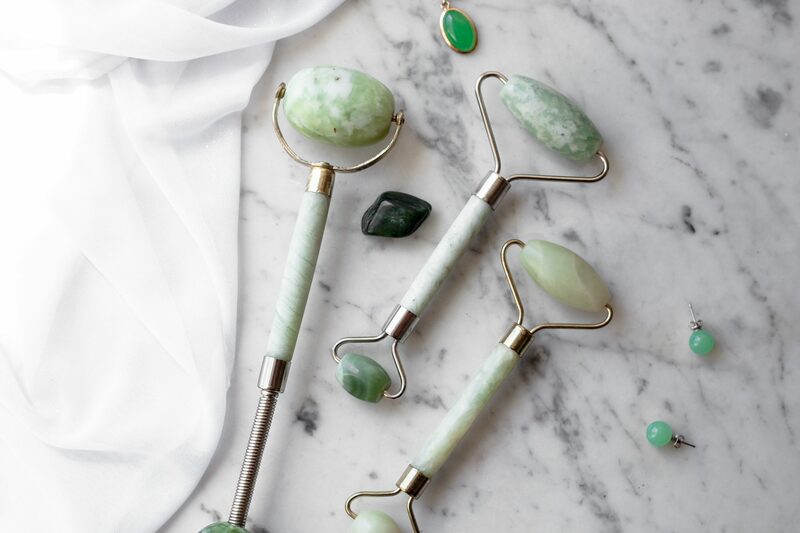 You’ve seen them all over Instagram: your favorite beauty influencers have been using these pretty jade rollers every night, claiming they help with product absorption, reducing puffiness, and even brightening the skin. From Alicia Key’s no-makeup beauty secret to Herbivore Botanicals selling jade rollers to boost sales, this trendy little tool has definitely taken flight in the skincare industry. And it’s a no-brainer that influencers are raving about them too: they’re totally Insta-worthy, and with prices commonly under $20 they are such an easy product to recommend – hello affiliate sales. Yes, bloggers do make a commission from every product link that you click. Sorry to disappoint you. But what’s the buzz on jade rollers really all about? What Do Jade Rollers Actually Do? For thousands of years, Asian women believed that adding jade to their skincare regimen was the secret fountain of youth (but really, it’s just having a great skincare regimen, eating a clean diet and staying out of the sun). From an actual scientific perspective, jade doesn’t really do anything to your skin. But jade is cool to the touch, so by rolling it across the face the cold temperature promotes blood circulation, lymphatic drainage, and in turn, the reduction of puffiness. Plus, the cool stone can feel spa-like and add some zen to the end of a stressful day. But no, it doesn’t brighten the skin, reduce acne, or cure rosacea – that’s a placebo effect. And if this happens, that’s great, but those results are probably due to your skincare products or any other lifestyle changes you’ve recently made. In recent years the production of genuine jade has been on the decline. All jade from in China is nephrite jade, while the more precious form of jade, jadeite, is actually from Myanmar. Nephrite jade is most of the genuine jade that’s on the market, as there are more nephrite jade deposits than jadeite. Unfortunately, manufacturers have mastered the art of replicating jade by dying and chemically treating other types of stone like marble, serpentine, aventurine quartz – the list goes on. Some stones are coated with chemicals to replicate that jade luster, while others are injected with a polymer to increase the vibrancy of the stone. GMO jade, what a time to be alive. Crystal healing has been a big part of my life for several years now – in fact, I wrote a post on how to use crystals for emotional healing. So when I received my first jade roller in the mail, I had to stop and wonder: wait, is this even real? And it definitely wasn’t. Chances are if your roller is less than $20, it’s probably not real jade. The top-most charm is fake jade, while the bottom stud earrings are real. The dark stone is real nephrite jade. What do you think the jade rollers are made of? Genuine jade varies from dark foresty green to milky light green with swirls of white. If there are no imperfections like black dots or white swirls, then it’s probably a dyed stone. Real jade can actually break if it is dropped and is resistant to scratching, which makes it one of the more precious gemstones. Jade is cool to the touch, so if your roller is warm or doesn’t cool down quickly after use, it’s definitely not jade. 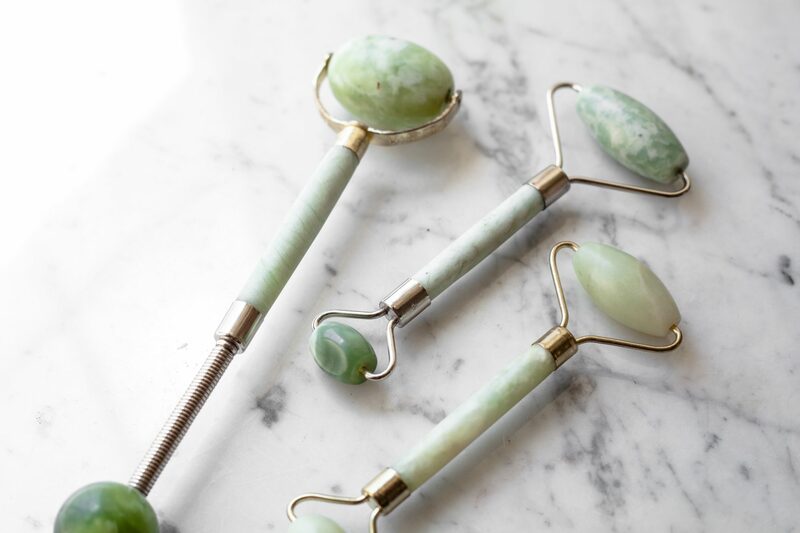 However, some of the stones used in fake jade rollers like marble can also be cool to the touch, so temperature isn’t always a reliable way to determine if it’s fake. It’s cheap. Although nephrite jade is commonly used for genuine jade rollers, more often than not if it’s under $20 it’s probably going to be a fake. If it’s made of serpentine, Xiuyan jade, new jade, Australian jade, Malaysian jade, or mountain jade, it’s fake. There are only 2 types of jade: jadeite and nephrite. Because many stores don’t list what type of jade their rollers are, this tells me they either don’t know where the manufacturer is sourcing their jade from, or they know it isn’t real. At the moment, I really only trust jade rollers from Beedewy and Energy Muse. Many websites that have listed their jade use Xiuyan jade, which is known as “new Jade” or serpentine, which is a common substitute for nephrite jade. However, it is not real jade. If the healing crystal properties of real jade don’t concern you, then feel free to buy any other type of jade roller you see! What Do I Do If Mine Is Fake? If it’s a fake, you can still use it! But if you’re looking to promote good luck, prosperity and overall good health, then you’re out of luck. If the stone is cold to the touch, the roller can still be used to de-puff and increase circulation in the skin. And even if it isn’t cold to the touch, you can always pop it in the freezer for 30 minutes and make it chilly. If you’re less concerned with your skincare tools looking Instagram-worthy and prefer your skin to look like a real-life Instagram filter, then consider these other options. If you’re looking for more radiant, blemish-free skin, consider buying a derma roller. It’s one of the most effective ways to create a clear complexion and I always recommend this to all of my clients. Microneedling used to be available by dermatologists only, but derma rollers with needles .50 mm and shorter are now available online and safe to use at home without the presence of a professional. You can check out how I healed my onslaught of acne scars in this blog post: Banish Acne Scars: Product Review + My Professional Life With Acne. If you want a more effective way to de-puff and increase lymphatic drainage, grab one of those ice rollers instead and pop them in the freezer. They cover a larger surface area, hold a cold temperature much longer and don’t rust like jade rollers do. Pro tip: leave them in the freezer in a gallon Zip-loc bag so that it doesn’t collect ice crystals and start rusting. 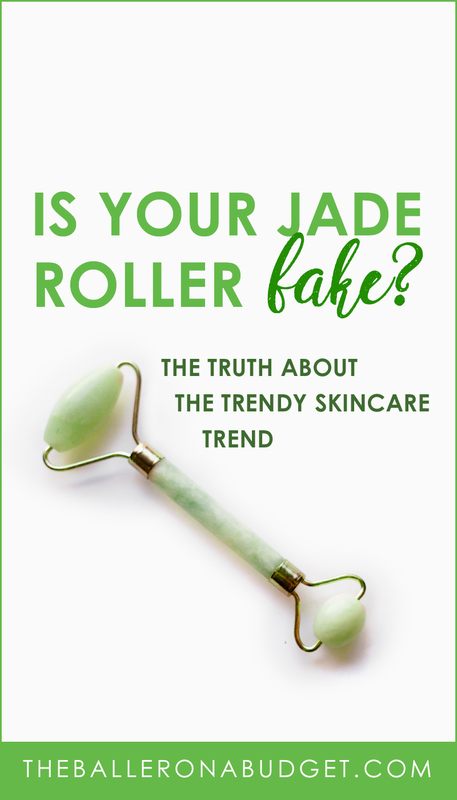 What’s your opinion on the jade roller craze? Let’s chat in the comments and don’t forget to subscribe to my newsletter below for my skincare tips and tricks. Previous Post Is Your Eye Cream Causing Milia? GMO Jade!! BAhahahaha!! Great informative post! Brava and thanks! !